To celebrate the launch of a brand new update on Worms W.M.D for Nintendo Switch that added friend invites, video capture and an increase for the maximum worm count from 32 to 42, we decided to challenge our players to show off their epic and hilarious Worms W.M.D clips on Twitter. Before we announce the winners we just want to say a Concrete Donkey sized thank you to everyone who entered the competition. We saw a fantastic array of entries, with skill shots, epic fails and explosive set pieces. This made it very difficult to choose our overall winners! If you’d like to view all the entries, you can do so with this link. Now, we’re excited to reveal the winners of our Worms W.M.D Nintendo Switch Video competition! @K3epnitG’s entry showed off the destructive chaos of combining 48 worms with a banana bomb and a barrel. @mtlovett’s hilarious clip shows that karma is always just around the corner and can occur in the most unexpected of ways. Winners will be contacted shortly regarding their prizes! 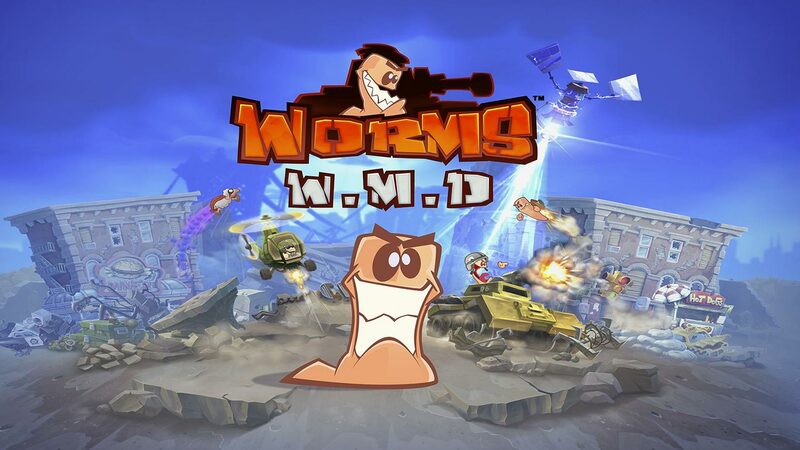 Worms W.M.D is available now on Nintendo Switch, PC, Xbox One and PlayStation 4.